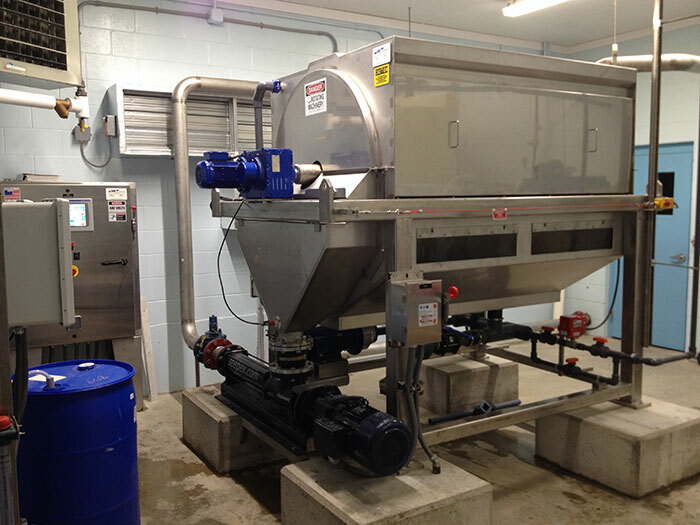 BDP Industries | Vector Process Equipment | Biosolids dewatering and composting technologies. 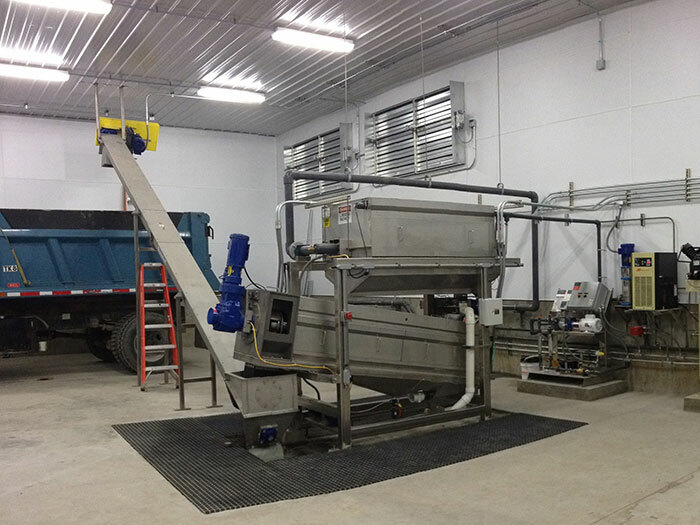 BDP Industries manufactures a range of equipment for municipal biosolids, industrial and mining dewatering applications as well as composting equipment. For more information please visit their website or contact us. The 3DP press is a three belt machine that is configured with a gravity belt thickener feeding a two belt independent press section. This allows the gravity drainage of the slurry to be optimized independent of the operation of the press section, something that is not possible with a two belt machine. Ideal for dewatering biosolids, industrial waste or mine tailings. 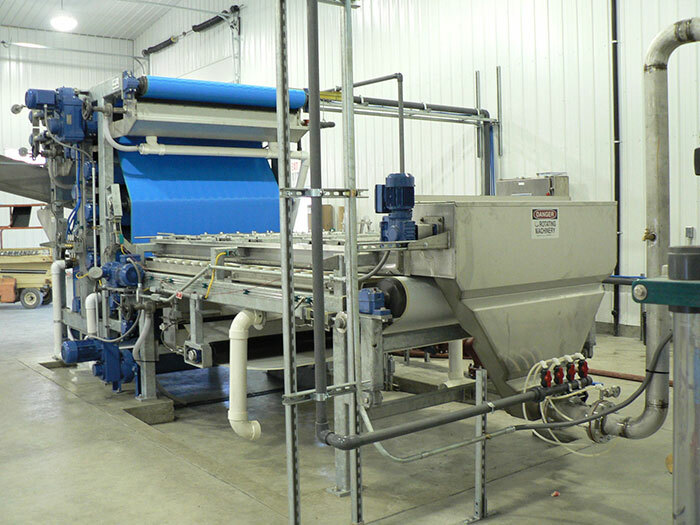 The Gravity Belt Thickener (GBT) is a very simple machine to operate having only three rolls and one belt. 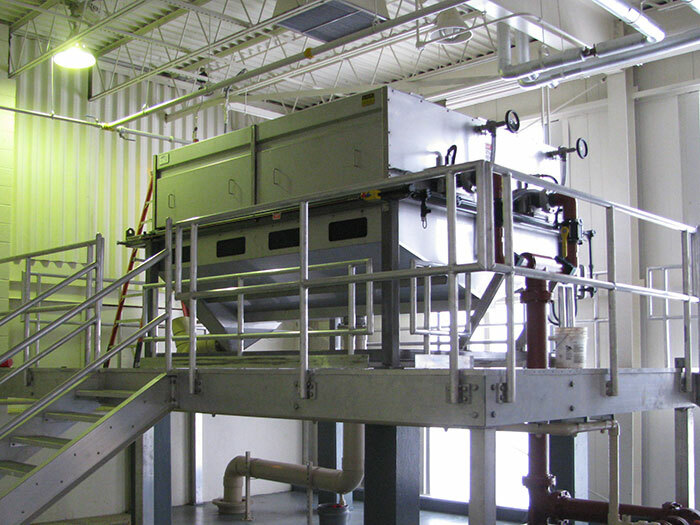 Typically used to thicken biosolids sludges prior to belt presses or screw presses. 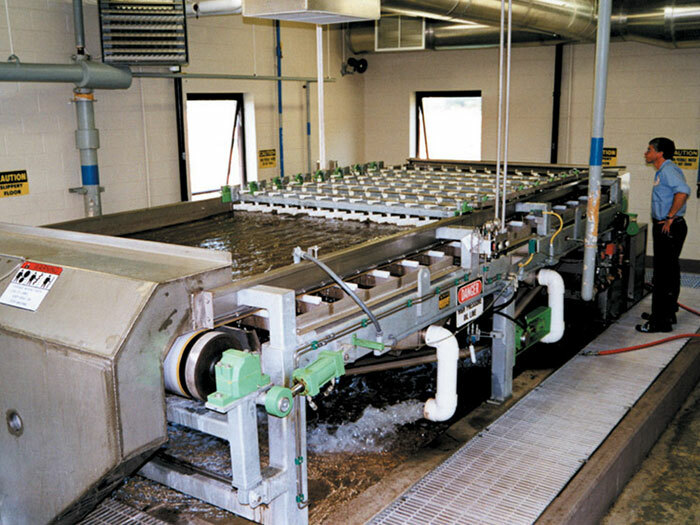 The GBT can also used to thicken waste activated sludges prior to digestion. 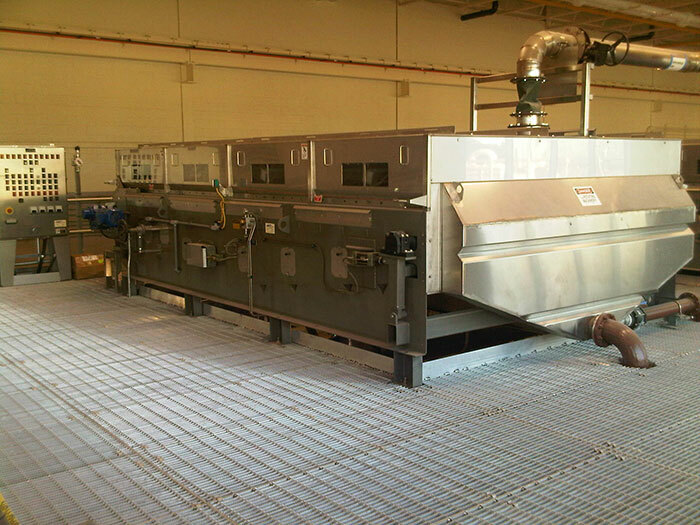 The fully enclosed Gravity Belt Thickener (GBT) is ideal where reducing odours e.g. of raw primary sludge is necessary. The BDP Rotary Drum Thickener is available in a single or double drum configuration. Features small footprint with minimal operator attention. The DSP Screw Press is ideal for installations where wash water requirements can be of concern for the plant. It can be supplied with a rotary drum thickener for pre-thickening where needed. Filtrate recycle maximizes solids capture. Ideally suited for dewatering biosolids. 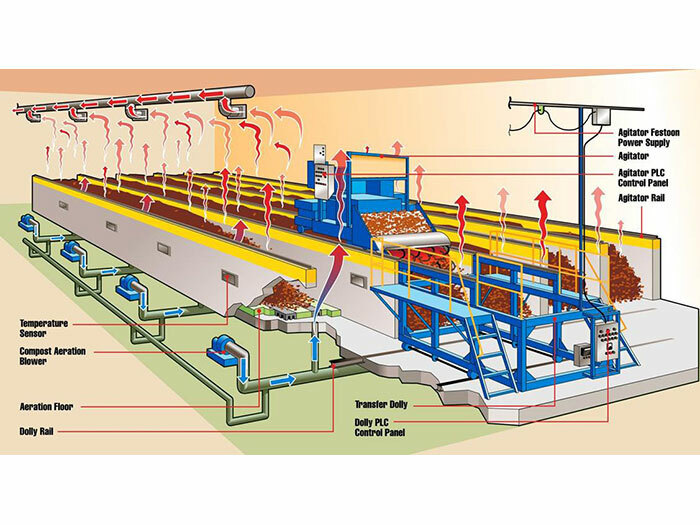 BDP Agitated, Aerated Bay In-Vessel Composting Systems (ICS) Offer minimum space and energy consumption with maximum odour control and compost quality. 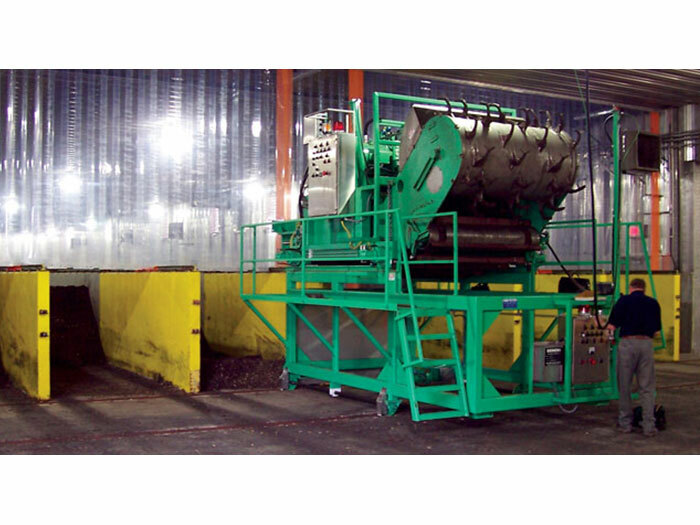 The ICS is ideally suited for composting of SSO, yard waste and municipal biosolids. BDP Compost Agitator prior to entering a bay. 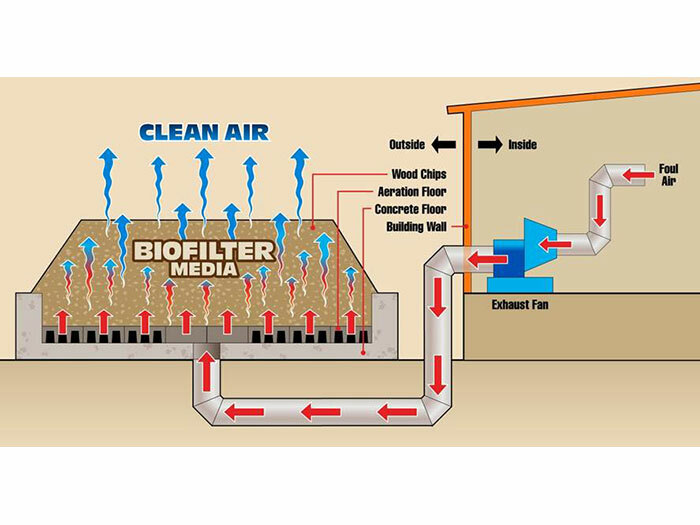 Odour Control Biofilter system schematic. BDP have partnered with BacTee Systems Inc. to provide odour free installations.